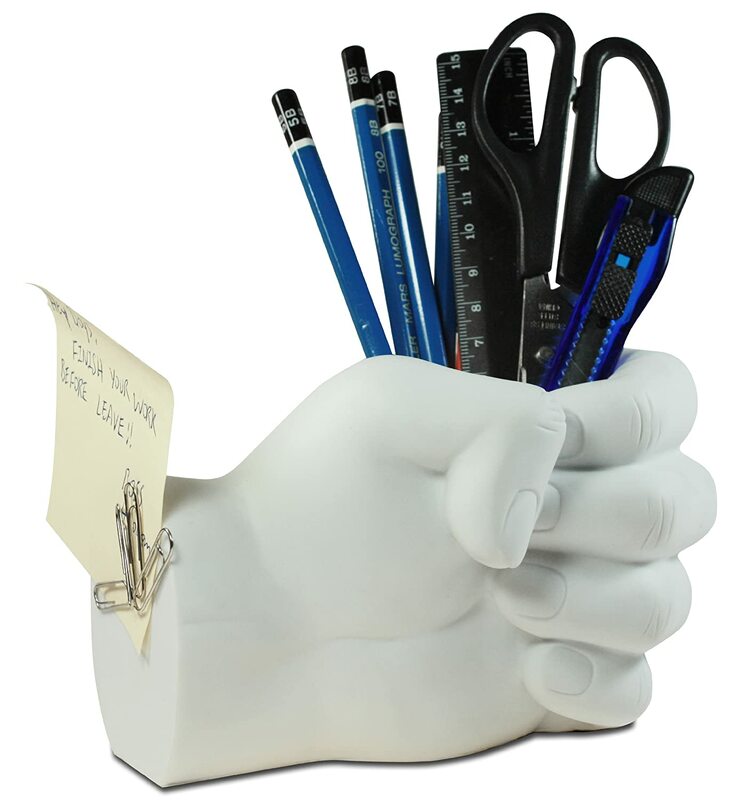 Keep your work space free of clutter. Magnet holds paper clips & more. This is the ideal paper weight, weighing in at 2 ½ lbs. The holder is made of durable material: Plastic/Cement mix (ATBC-PVC).